Apple’s iPhone 7 has been a sensation across the globe ever since its launch. Boasting of massive upgrades and spectacular features, this futuristic iPhone marveled everyone. But the iPhone 7 Plus, a remarkable stretched-out version of iPhone 7, captured the market space even before its release. For starters, the Apple iPhone 7 Plus is lighter when compared to its iPhone 6 units. Also, it is the first amongst its clan to provide a strong resistance rating of IP67 against dust and water. The iPhone 7 Plus comes with the longest battery life in comparison to its forerunners. This is completely attributed to the absence of the headphone jack which leaves more space for battery. With an overall battery capacity of 2887mAh, Apple has succeeded in extending the hours of this gadget usage. 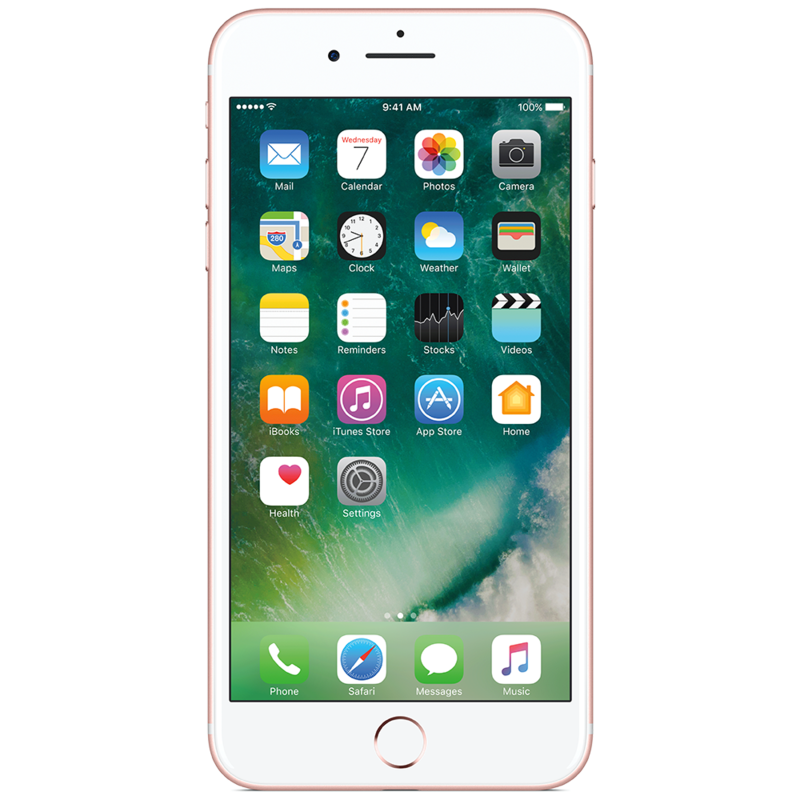 The Apple iPhone 7 Plus is regarded as the affordable iPhone with enhanced display, camera improvements and powerful processors. The iPhone 7 Plus has a 5.7-inch screen with a display that is 25% brighter than its preceding models. The display also supports a wide gamut of colours that are richer and more realistic. Another fascinating feature of Apple iPhone 7 Plus that has enabled it to gain much traction is the absence of the physical home button. Instead, the device has been re-engineered with a pressure sensitive home button that coordinates with the Taptic engine to provide a response. Both the iPhone 7 units are equipped with the powerful A10 Fusion processor which boosts the system speed by 40% in comparison to iPhone 6. 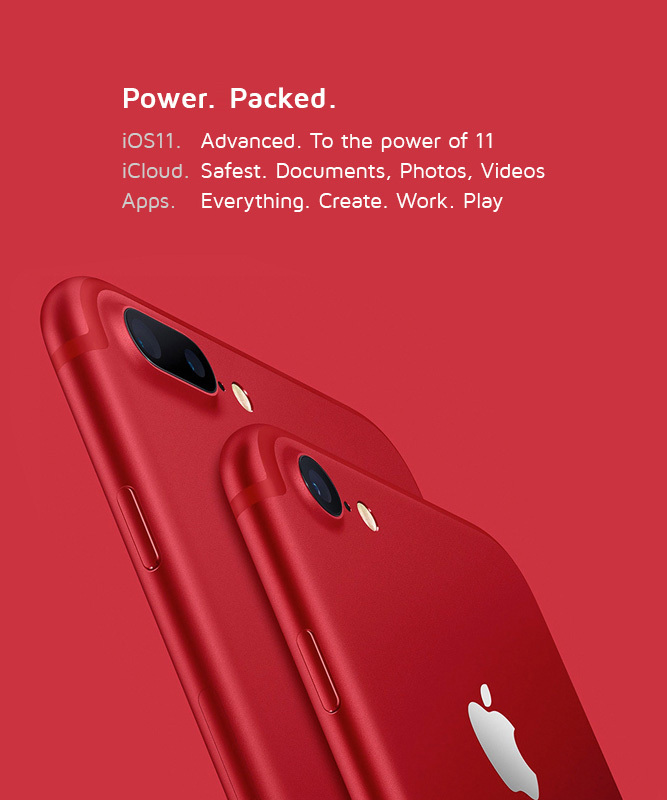 The incredible combination of two high-performance cores with two high-efficiency cores is what makes the iPhone 7 Plus an endeared asset for all Apple lovers. These processor improvements further assist in extending the battery life of the phone. The Apple iPhone 7 Plus has enhanced camera features including a 28mm wide-angle lens and an additional 56mm telephoto lens to provide the dual-camera functionality. Other than this, the overhauled camera functions include optical image stabilization, wider lens, wide colour capture, an enhanced image signal processor that results in sharper, brighter and more detailed images even in low-light ambience. Apple has increased its storage capacity in its 10th generation units. The earlier iPhone models had a basic storage capacity of 16GB which made it difficult to support various OS updates. But the increased storage capacity of 32GB has eased these space hassles. You can find iPhone 7 Plus online in varying colours and storage capacities ranging from 32GB to 256GB. The Maple store offers you a complete range of colour variants, including rose gold, silver, black, gold and jet black. Typically, the iPhone 7 plus price varies based on its storage capacity. However, the Maple online store offers you all Apple devices at reduced rates in comparison to the market rates. With such exclusive discounts, the Maple online store is a paradise for every Apple lover.